Several organizations at Quinnipiac came together on Sunday afternoon in honor of Veterans Day to help homeless veterans for Thanksgiving by assembling care packages fro Homes for the Brave. Quinnipiac’s Residential Life, Residence Hall Council and Student Veterans Organization came together to host an event where students could bring non-perishable products and make their own care packages. The organizations raffled off a Quinnipiac hockey jersey, hosted trivia with prizes and provided pizza for anyone who came and donated goods. The event also gave students an opportunity to talk to student veterans. Chidi Nwuneli is one of the community assistants that organized this event. This is the second year that Nwuneli has run this event and this year he was striving to make it bigger. “Last year we had a smaller scale event and this year we tried to work with Residence Hall Council and Student Veterans themselves to make it a bigger event and we’re just trying to help on a bigger scale,” Nwuneli said. One thing that the coordinators of this event tried to offer the students was the opportunity to talk to student veterans. Hector Alicea was one of those veterans in attendance at the event. 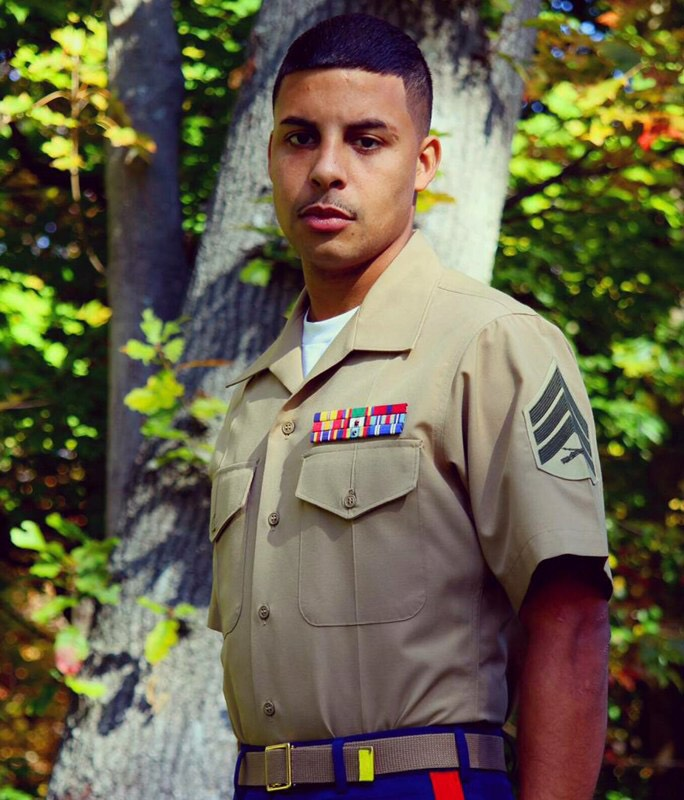 Alicea is a veteran of the Marine Corps. He served for seven years and completed two tours. As a veteran, Alicea is very appreciative of events like this, as well as being able to help out. “The fact that people are willing to come here and donate and raise money for those service members who are still serving, or those service members who returned who are still trying to integrate back into society, it means something to us. So the Student Veterans Organization, we’re going to support that all the way,” Alicea said. Thomas Perry, a junior at Quinnipiac, came and donated goods and assembled a care package for Homes for the Brave. Perry has quite a few connections to military veterans, so this event really pushed him to give back.